Hire a First-Class Motorcycle Attorney In South Gate, CA. 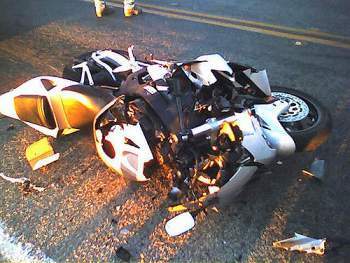 Motorcycle accidents happen often. It isn’t really cool as it is always accompanied by serious bodily harm, trauma and sometimes, the death of the victim. However, if you are just faced with minor/major injuries or trauma after a motorcycle accident, then you should consider yourself lucky because you can be healed with time and also stand a chance of receiving payment as a cushion for the pains. The full payment can most certainly come through if you let a first-class accident attorney handle your case. Were you (or your loved one) unfortunately hit in the city of South Gate? We recommend that you hurriedly hire the topnotch services of a first-class motorcycle accident attorney by contacting us at Rawa Law Group. Rawa Law Group is a superior legal agency that is focused on advocacy for the injured folks. Our agency has more than 30 years of combined experience in legal cases involving accidents and has helped many clients in South Gate, CA, to get full accident claim settlements that amount to a few millions of dollars! Our accident attorneys are some of the best injury attorneys in California and are well trained in the art of giving you the full legal representation you need to push your case to success. We also ensure that you are fully aware of our procedures from the onset so you do not feel left out. Our appointments are very flexible: our team can meet you up at your place of treatment or your home (if necessary). To crown it all, we ensure that you can contact us easily by offering a free consultation and do not forget: we do not take payment until after we have won your case.